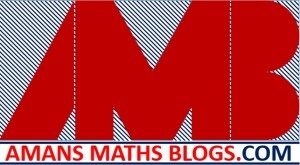 Hi candidates, welcome to Amans Maths Blogs (AMB). 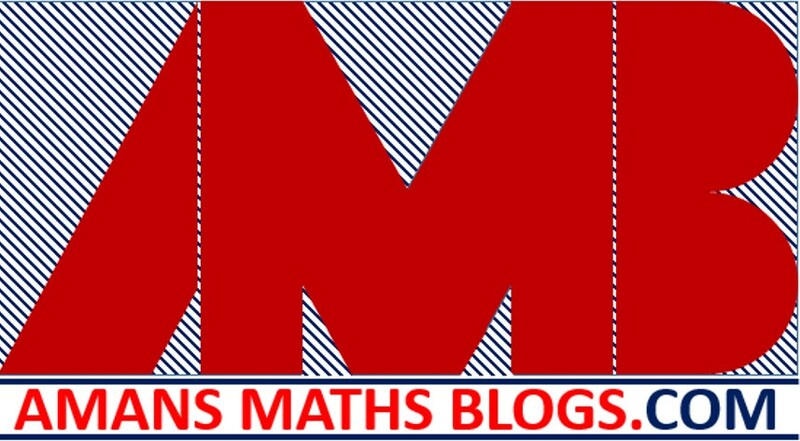 On this post, you will get the your NTSE Result. NTSE is acronym for National Talent Search Examination. NTSE is a scholarship exam for class 10 studying students. It is a two stages exams knwon as NTSE Stage 1 and NTSE Stage 2. These two exams are scheduled every year. 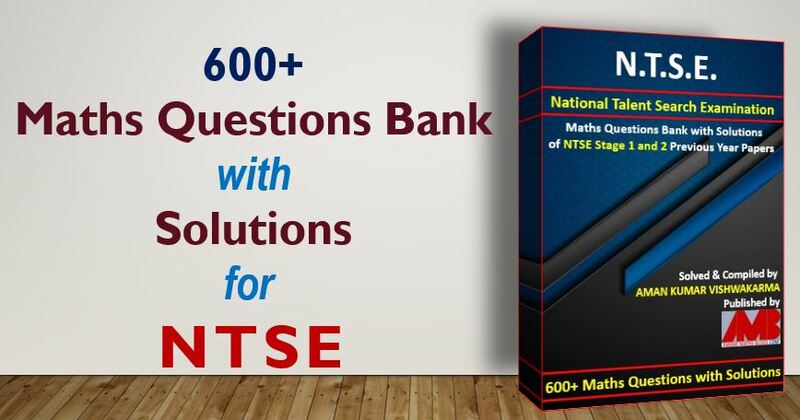 For more details about NTSE Stage 1 and NTSE stage 2 exams like: NTSE Notification, NTSE Syllabus, NTSE Exam Pattern, NTSE Previous Year Papers, NTSE Eligibility Criteria etc. click here. In this article, the candidates get the NTSE Results of Stage 1 Exam 2018-19 which was held on 4 November 2018. As we know that the NTSE Stage 1 exam was conducted by the states/UT of India and scheduled in each states, so by the end of February 2019, each states/UT announced NTSE Result 2019 of Stage 1. This NTSE Results mention the qualifying status of candidates of MAT (Mental Ability Test) and SAT (Scholastic Aptitude Test) papers. All the States/UTs declared the NTSE Result of Stage 1 2019 on their official website of exam conducting authority bodies. These NTSE Result are in the form of merit list that include Names of candidates, Marks, Ranks etc. These are the candidates who are eligible for the NTSE Stage 2 exam 2018-19 which will be held on 16 June 2019. This is a National level exam conducted by NCERT. The NTSE Stage 2 exam is the final stage of NTSE Scholarship program. 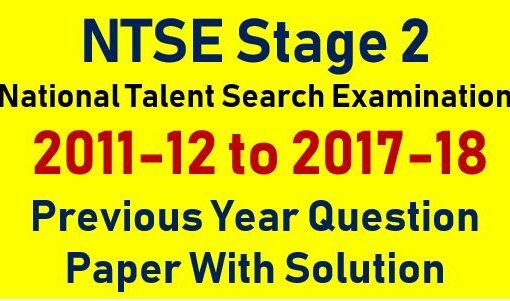 To check the NTSE Results of Stage 1 exam 2018-19, the candidates need to do the following steps. Step 1: Candidates need to visit the official website of respective states. Step 2: Search for the NTSE Stage 1 Result 2018-19 hyperlink on the Home page of the website. You can use the tool of Ctrl + F as short key to find any text on the document. Step 3: Click on that link. The link download the merit list of the qualifying candidates of NTSE Stage 1 Exam 2018-19 which is considered as NTSE Results of Stage 1 exam 2018-19. It is in the PDF form. Step 4: Candidate need to search his name and roll number in the list. Step 5: Save this list for the future reference. Now, check your NTSE Result of corresponding States/UTs as below. In NTSE Andhra Pradesh Result of Stage 1 exam 2019, the cutoff marks for each categories are decided as below. The candidates who cross the cutoff marks are in the merit list of NTSE Result 2019 Andhra Pradesh and hence they are eligible for the NTSE Stage 2 Exam 2018-19. To check NTSE Results 2019 Andhra Pradesh on the official website, Click Here. To get the merit list of NTSE Results of Stage 1 Exam, Click Here. In NTSE Arunachal Pradesh Result of Stage 1 exam 2019, the cutoff marks for each categories are decided as below. The candidates who cross the cutoff marks are in the merit list of NTSE Result 2019 Arunachal Pradesh and hence they are eligible for the NTSE Stage 2 Exam 2018-19. To check NTSE Results 2019 Arunachal Pradesh on the official website, Click Here. In NTSE Assam Result of Stage 1 exam 2019, the cutoff marks for each categories not given in the merit list so only the selected candidates and his/her roll number mentioned. The candidates who cross the cutoff marks are in the merit list of NTSE Result 2019 Assam and hence they are eligible for the NTSE Stage 2 Exam 2018-19. To check NTSE Results 2019 Assam on the official website, Click Here. The NTSE Bihar Result of Stage 1 exam 2019 will be declared in April 2019 and hence the cutoff marks for each categories will also be declared along with the NTSE Bihar result. The candidates who cross the cutoff marks will be in the merit list of NTSE Result 2019 Bihar and hence they are eligible for the NTSE Stage 2 Exam 2018-19. To check NTSE Results 2019 Bihar on the official website, Click Here. The NTSE Chandigarh Result of Stage 1 exam 2019 will be declared soon and hence the cutoff marks for each categories will also be declared along with the NTSE Chandigarh result. The candidates who cross the cutoff marks will be in the merit list of NTSE Result 2019 Chandigarh and hence they are eligible for the NTSE Stage 2 Exam 2018-19. To check NTSE Results 2019 Chandigarh on the official website, Click Here. In NTSE Chhattisgarh Result of Stage 1 exam 2019, the cutoff marks for each categories are decided as below. The candidates who cross the cutoff marks are in the merit list of NTSE Result 2019 Chhattisgarh and hence they are eligible for the NTSE Stage 2 Exam 2018-19. To check NTSE Results 2019 Chhattisgarh on the official website, Click Here. In NTSE Delhi Result of Stage 1 exam 2019, the cutoff marks for each categories are decided as below. 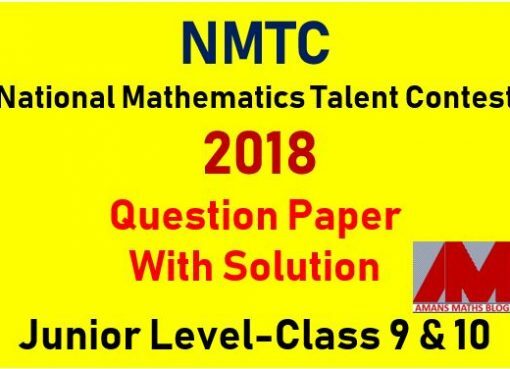 The candidates who cross the cutoff marks are in the merit list of NTSE Result 2019 Delhi and hence they are eligible for the NTSE Stage 2 Exam 2018-19. To check NTSE Results 2019 Delhi on the official website, Click Here. The NTSE Gujrat Result of Stage 1 exam 2019 will be released soon. The candidates who cross the cutoff marks will be in the merit list of NTSE Result 2019 Gujrat and hence they are eligible for the NTSE Stage 2 Exam 2018-19. To check NTSE Results 2019 Gujrat on the official website, Click Here. The NTSE Goa Result of Stage 1 exam 2019 will be released soon. The candidates who cross the cutoff marks will be in the merit list of NTSE Result 2019 Goa and hence they are eligible for the NTSE Stage 2 Exam 2018-19. To check NTSE Results 2019 Goa on the official website, Click Here. In NTSE Haryana Result of Stage 1 exam 2019, the cutoff marks for each categories are decided as below. The candidates who cross the cutoff marks are in the merit list of NTSE Result 2019 Haryana and hence they are eligible for the NTSE Stage 2 Exam 2018-19. To check NTSE Results 2019 Haryana on the official website, Click Here. In NTSE Himachal Pradesh Result of Stage 1 exam 2019, the cutoff marks for each categories are decided as below. The candidates who cross the cutoff marks are in the merit list of NTSE Result 2019 Himachal Pradesh and hence they are eligible for the NTSE Stage 2 Exam 2018-19. To check NTSE Results 2019 Himachal Pradesh on the official website, Click Here. In NTSE Jammu Kashmir Result of Stage 1 exam 2019, the cutoff marks for each categories not given in the merit list so only the selected candidates and his/her roll number mentioned. The candidates who cross the cutoff marks are in the merit list of NTSE Result 2019 Jammu Kashmir and hence they are eligible for the NTSE Stage 2 Exam 2018-19. To check NTSE Results 2019 Jammu Kashmir on the official website, Click Here.